In the framework of the french territorial reform, regions Midi Pyrénées and Languedoc Roussillon merged to become the region Occitanie in 2016. This process, intended to simplify and to optimize the management of the French territories, comes along with an important reorganization of the administrations to find the conditions to work together. 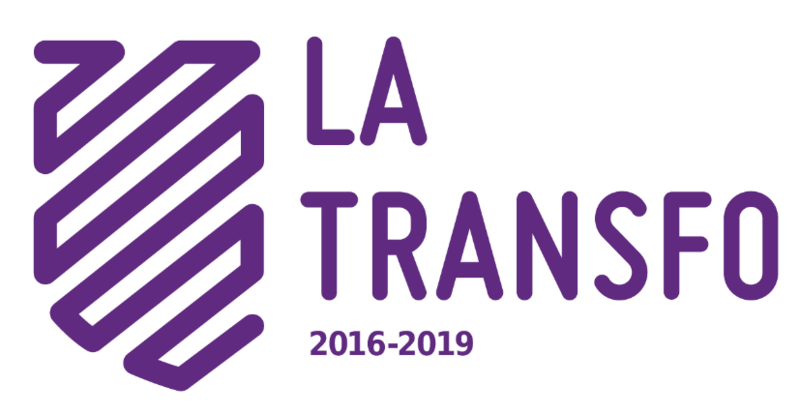 In this context, president Carole Delga, elected in 2016, decided to launch La Transfo. Lucas Linares (designer, co-founder of étrangeOrdinaire), Emma Livet (designer, co-founder of La Bobine) and Frédérique Sonnet (free-lance adviser on user-centered innovation) will be working with the local team all through La Transfo programme. Nadège Guiraud is in charge of the general coordination of La Transfo in Occitanie for La 27eRégion and liaises with other Cities and Regions involved in the programme. Laure Bagneris et Nicolas Trillaud are both project managers within the Innovation department. They liaise La 27e Région, the résidents and the ambassadors. 20 public agents, selected from a variety of Departments and categories, take part in the working sessions organized by the residents all through the program. They are also in charge of sharing and spreading the programme with their colleagues..